It’s always easy to feel optimistic the morning after a win. In the midst of all the doom and gloom, let’s take a step back and look at some of the players to get excited about for the St. Louis Cardinals. 10. Lance Lynn. 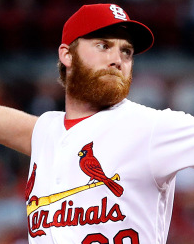 In his first year back from surgery, the salty right-hander appears immune to the virus that’s infected the Cardinals’ roster. He’s his own man on the mound, firing heavy fastballs at opposing hitters with violent intent. Lynn’s always pitched with a bit of a chip on his shoulder, but that chip has grown bigger, weightier as he becomes more and more aware of who he is and what he can do with a baseball. He’s pitching with the conviction Chris Carpenter showed and Adam Wainwright preaches, that once-missing piece that says, “I’m a fastball pitcher, damn it. And that’s what I’m going to throw.” He’s throwing it effectively and is quietly becoming the most promising pitcher, start to start, in an unpredictable rotation. 9. Jose Martinez. You never really know what you’re going to get from long-time minor leaguers, or the 25th man to make a roster for that matter. Jeremy Hazelbaker started hot for the Cardinals last season before cooling off a bit, but there have been others before him that couldn’t make the transition from a lifetime riding buses to major-league pitching. 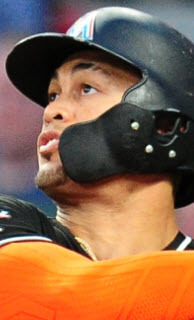 So far, Martinez is not in that category, slashing .467/.529/.600 in 17 plate appearances. If the last couple of games are any indication, that performance has moved him from “break in case of emergency” status to a find-him-at-bats directive. If he can continue to punish major-league pitches, he could be the bat that pressures Matt Carpenter to slide occasionally back to third base this season, a position recently vacated by Jhonny Peralta. 8. Greg Garcia. Speaking of bench players, no one has increased his roster profile more than Greg Garcia. The once-teammate of second baseman Kolten Wong at the University of Hawaii, Garcia is zooming in the opposite direction on the job-security scale. 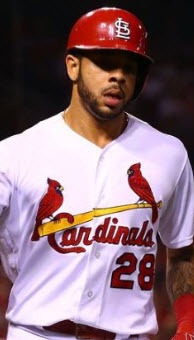 Capable of playing second base, shortstop, and third base, Garcia plays with exactly the sort of aggressive reliability the Cardinals hope to cultivate from the rest of their jittery roster. And his on-base ability couples seamlessly with a steady bat to press for playing time. 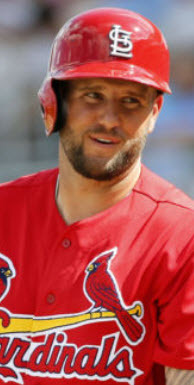 He should get more innings at third base with Peralta’s stock dropping after a sluggish start, but don’t be surprised to see him at shortstop today to spell a weary Aledmys Diaz – 0 for his last 12 and hitless in his last three games – against a right-handed starting pitcher, Chad Kuhl. 7. Stephen Piscotty. Piscotty got off to a slow start after retooling his swing over the offseason, but since getting time off for the single-inning assault his body endured at the hands of the Reds, he’s looking more and more comfortable at the plate. 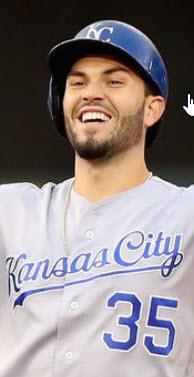 He still only has two extra base hits on the year, but with eight hits and two walks in his last six games, he’s trending in the right direction for a team that desperately needs a reliable bat at clean up. No, he’s not your typical clean up hitter, but he’s the best the Cardinals have until Mozeliak can bring in a wall-banging third baseman from outside the organization. 6. Mike Leake. There’s no other way to put it – Mike Leake is the life-saver the Cardinals’ pitching staff didn’t know they needed the first two weeks of the season. In just two starts, he’s thrown 15 innings with just one total earned run allowed. That innings load has proven critical for a shaky pen attempting to back up a rotation that’s struggling to go six and suppress opposing offenses. It’s been a tough road for the St. Louis pitching staff, but Mike Leake is going about his business with a workman-like attitude welcome in a dugout that’s seen little go right in it’s first 12 games. As the season progresses, Leake’s performance can be the foundation the staff can stand on while trying to decipher the Rubik’s Cube that’s become their bag of hurlers. 4. Matt Carpenter. After a slow start, Carpenter is looking more like his old self again at the plate. Comfortable. Relaxed. And selective. He’s hit safely in three of his last four games and drawn five walks in his last 17 plate appearances. Those are exactly the kind of numbers you want from a hitter like Carpenter. 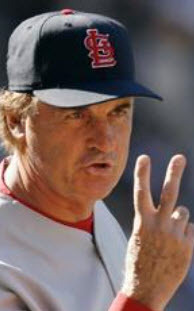 It’s not the kind of numbers you necessarily look for from a number three hitter, but let’s not mistake him for that. He’s much better suited at number two. 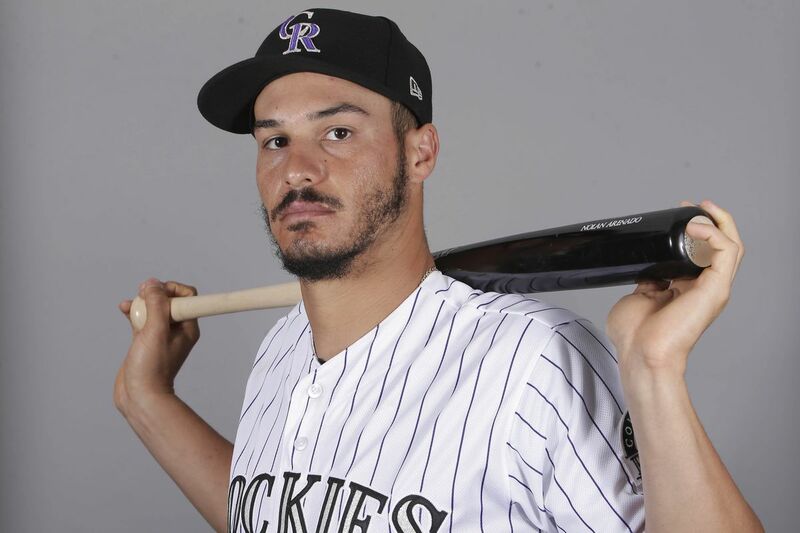 Either way, a day or two off to let a sliced finger heal should only further fuel his reemergence as an impact hitter at the top of the lineup. 3. Randal Grichuk. The start of last season for Grichuk was hard to watch. 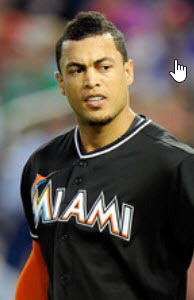 He went hitless in more than half his April games with 22 strikeouts and a .189 batting average, and he recorded two streaks of five hitless games each through May 1st. This season, while the counting numbers aren’t resoundingly different, the Cardinals’ left-fielder appears to have made progress in his pursuit of offensive consistency. More than half-way through the month, it took until April 16th to record back-to-back hitless games. He halted that streak at just two games with a 2-for-3 performance last night against the Pirates. And that’s the key to Grichuk’s ability to live up to his potential – consistency. Now that the Matt Adams experiment in left field appears to be over, look for Grichuk to build on that game-to-game approach and start padding the more traditional counting stats like home runs and doubles. 2. Jedd Gyorko. The way Gyorko’s career has gone, especially with the Cardinals, he should have the phrase “In Part-Time Duty” embroidered on his jersey. It’s the words that always accompany any discussion of his stats, a way to provide context. To use them again, Gyorko has two home runs and a slash line of .250/.323/.500 in part-time duty this month. By themselves, that’s not much of a reason to get excited about a bench player. It’s okay, but it’s not “impact hitter” stats. But Gyorko makes this list for one simple reason – general manager John Mozeliak’s recent statements about Jhonny Peralta’s disappointing play at third base thus far. His .120/.185/.120 slash line in eight games makes Gyorko’s numbers look All-Star worthy. And if Peralta’s merciful benching continues, those Gyorko stats should grow to mildly exciting levels as he makes his case for the starting third base job. 1. Trevor Rosenthal. Seung-hwan Oh has not looked the same this season. That’s not surprising considering the sheer number of innings on that arm from his time overseas and the WBC, and I fully expect him to get injured at some point this year. That’s going to open the door for a new closer. Meet the new closer, same as the old closer – Trevor Rosenthal. In his return to the pen this season, Rosey looks flat-out nasty. With five strikeouts in just 2.1 innings, he’s already pitched his way into the eighth inning setup role, a position traditionally on-deck for the ninth if needed. Combine that with the return of his impressive velocity and control, consistently, and Rosenthal looks on-track to regain his old job by mid-season, if not much sooner.